Well, it’s that time of year! The 2005 Electronic Entertainment Expo in Los Angeles opened its doors this morning. This is where game developers, console manufacturers and anyone related to the electronic entertainment industry have a chance to showcase their newest and coolest products for all the world to see for the very first time. Next-gen consoles are definitely what everyone’s buzzing about this year, with new offerings by Xbox, Nintendo and Playstation at the forefront of virtually every conversation. Conference sessions began this morning, and will continue until the end of the week, when the highly anticipated Expo opens its doors on Wednesday. The exciting news is that Alternate Reality Games will be strongly represented here for the very first time. There will be an official presence from current games Perplex City and Art of the Heist, as well as numerous other puppetmasters in attendance. Mind Candy, the folks behind Perplex City, have a booth in the main exhibition hall, and The Art of the Heist has another realworld “retriever” event in store. 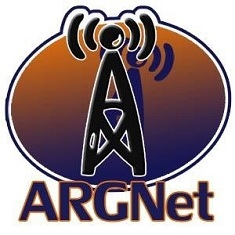 ARGN will be here throughout the week, and we’ll be giving you the scoop on all the ARG news and events as they happen! Look for exclusive photos, updates and interviews as the week goes on!